"Newspapers are unable, seemingly to discriminate between a bicycle accident and the collapse of civilization." Indeed. And how appropriate given the hysteria many papers, especially the tabloids, exhibited by the press about cycling and 'safety'. It means not scaring others." Courage means not scaring others. Boy, there are a lot of people out there who should reflect on that. 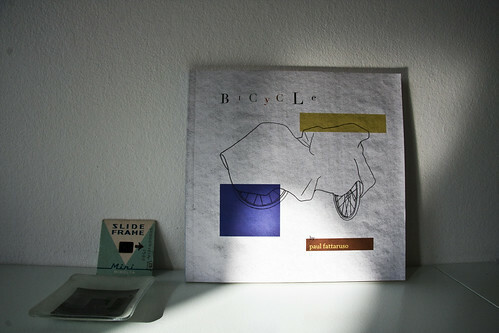 While we're in brevity mode, I can recommend a book of bicycle poems by Paul Fattaruso called... "Bicycle". "Of all the hidden cities, the city of abandoned bicycles is the most perfectly hidden. One can listen a long time to the indistinct whispers of abandoned bicycles in the streets."